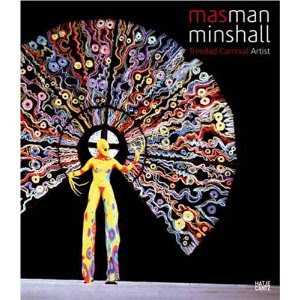 Peter Minshall was born in Guyana and raised in Trinidad, where the traditional carnival, pre-Lent festivals of street dancing and masquerade, or mas', captured his imagination. He left to study theater in England, only to become, in the early 1970s, one of the first designers to create mas' for London's now-legendary Notting Hill Carnival. A run of well-received theater design work in England and the United States brought him back around to the value and potency of Carnival's creative expression, and, gradually, he made it his principal medium. Minshall is now the head of the Callaloo company, which creates mas' productions in Trinidad, from human-sized costumes to 10-foot-tall creatures. Elements of that Trinidadian work have also made appearances at carnivals in Miami, San Francisco, Paris, Tokyo and Kingston, Jamaica, and his designs for the opening ceremonies of more than one Olympics have been seen by millions. Minshall has been a fellow of the Guggenheim Foundation and has won an Emmy for costume design; Masman-Minshall: Trinidad Carnival Artist brings readers inside his costumes and masks.